Betsafe – March Mayhem is back! Win more Free Spins and huge amounts of gadgets! 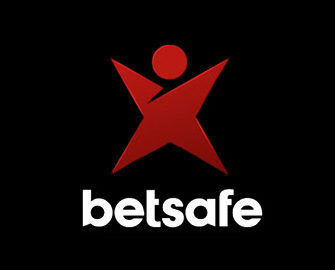 Back by popular demand Betsafe has just launched a second series of March Mayhem after the exclusive release of Bloodsuckers 2. This means nothing less than more Free Spins and tons of gadgets going to even more lucky winners. Up to a crazy 500 players now can rank to win gadgets, cash and bonus prizes. Two tiered promotion running from 17th to 30th March 2017 and consisting of Daily Blood Suckers 2 Races for Free Spins and points towards the second part of the promotion, the March Mayhem Leader Board. The TOP50 in the daily races will receive Free Spins and points whereas the TOP500 in the March Mayhem race will receive bonus cash prizes with the TOP20 + selected places also receiving a choice of gadgets. Take part in the daily races throughout the promotion period to win a share of 2,000 Free Spins on Blood Suckers 2 and points towards the March Mayhem leader board. The average earnings, calculated by total win amount divided by total wagered amount, over a period of 20 consecutive spins will determine the position in the daily race. The TOP50 will receive 20 – 180 Free Spins and 20 – 180 points towards the March Mayhem leader board. All credited the following day by 18:00 CET. Free Spin winnings have to be wagered 35x and according to the general bonus terms and conditions. Join the second points race for bonus prizes and gadgets running from 17th to 30th March 2017. 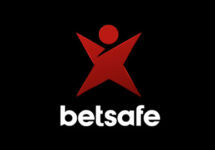 The TOP500 will receive a bonus cash prize while TOP20 and some extra placed players can choose one of the latest gadgets in the Betsafe Shop according to the prize tiers. Wager on Blood Suckers 2 with minimum €0.50 per spin – receive 5 / 10 / 20 points for a BIG / MEGA / SUPER MEGA win. At the end of the race the TOP500 will be notified and accounts credited within 72 hours. Bonus prizes and Free Spin winnings have to be wagered 35x in accordance with the general bonus terms and conditions.